If you have a garden, keeping your personal property safe and deterring nefarious individuals from breaking in is important. Not only can better garden security keep your shed, tools and bikes safe, it also provides that first layer of defence for your home. Obviously, you don’t want to turn a great location like the garden into an unattractive Fort Knox. Combining natural defences with traditional security measures like a good gate and adequate fencing, however, should help you keep a good balance. Fortunately, there are plenty of different ways to create good garden security while still maintaining that aesthetic appeal. When you are planning defences, it helps to take a look at everything from your adversary’s point of view. Think about what is likely to turn off or stop a burglar and stop them getting too nosey in the first place. A lot will depend on the layout of your garden but essentially you should identify anything that makes it too easy for someone to gain entry without being disturbed. Is access to the back garden open? Are tools or garden furniture clearly on view? Are there multiple access points or places where a burglar can stay concealed and case the joint or get on with stealing without being noticed? Can thieves easily climb over your fences and get access? Look at your garden from different angles and consider all the possibilities. Don’t just rely on your own ideas, either. Get a few friends or family members involved. Front gardens are generally smaller than back ones and tend to face the street, making a big difference on how you view security. Here you want to make sure that there aren’t spots where burglars can hide or be concealed while going about their activities. This means having a fairly low fence and perhaps ensuring that you keep hedges and bushes under a metre or about waist high. If a burglar thinks they can be easily seen breaking in, they will think twice about choosing your property as a target. Installing a CCTV surveillance system at the front of your home also sends a clear, unambiguous message to any potential thief that you are watching out for them. With access to your back by a side path, putting in a good, strong gate should be top of your garden security. Leaving this area open is akin to sending a clear message that your garden is fair game to any passing thief. The first thing a good, strong gate does is stop any potential burglar from seeing what’s in the back garden. While putting in a good side door is paramount, you also need to make sure it is locked securely. It’s not enough just to have bolt in place either. There are a number of different options to choose from here. You could go for a padlock on the bolt or settle for something like a rim lock. Ideally, you also want something that can be quickly seen from the road, so a mortice deadlock is not only suitable but highly visible as well. The sturdiness of your gate (and the surrounding framework/hinges) is going to be very important. If it looks flimsy or is easy to break open with a quick kick, you might want to consider getting something stronger installed, preferably with two locking mechanisms, a side mortice lock and a drop bolt that attaches to the concrete ground. The perimeter boundary for your garden security needs close attention, of course. There are a range of options including fencing as well as more natural bushes and hedging. It’s not always easy to make the right choice though. The police advise you should have a fence that is about 2 metres in height or just under (only for the rear garden). Some older borders like brick walls tend to be much lower than this, around waist height. That means adding a new border if you want to improve your security. You can either go for a strong fence or with a less sturdy trellis over which you can plant prickly plants that add bulk and make access more difficult. The latter is usually the best option if you want to maintain the look of a nice garden; it also has an added benefit of creating noise if an intruder breaks it. It does have the disadvantage that plants take time to grow, however, so you’ll have to factor this in to your plans. For a hedge that is all but impenetrable once fully grown, Firethorn – also a good option for areas out of the sun. It’s an evergreen which means you’ll get protection all year round. The good news is it doesn’t take any specialist knowledge to grow or maintain. It flowers in spring to mid-summer. Another good choice is the Red Barberry Shrub which is again low maintenance and will grow practically anywhere. For those after a plant that is protective but also rich in colour, this is certainly a great choice. 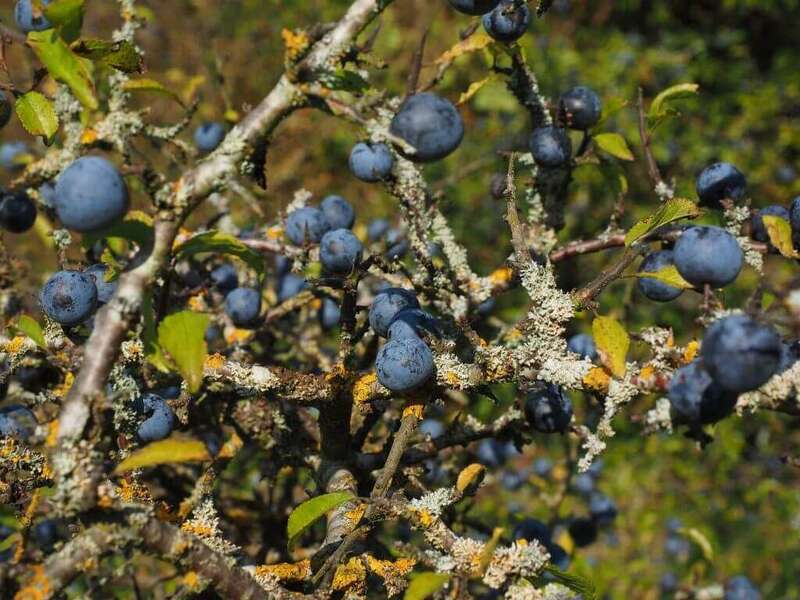 Blackthorn hedging is worth putting in if you want something that is really going to deter potential burglars. That’s because the sharp thorns will make anyone think twice before they try to jump over the fence into your garden. If you are keen to make your perimeter more secure and don’t quite know which plants to choose, a trip down to your local garden centre is a good idea. A trellis isn’t often the most secure fencing but once you train a plant like a Rambling Rose over it, your boundary becomes almost impenetrable. Plants from the thorny genus Berberis (such as Carminea) are also good for fence areas. Perhaps gardening isn’t really your thing so you want fencing that does the job and which you don’t have to work hard to maintain. Again, there are some good options out there at the moment, including metal fencing and railings that you can easily install. The key here is to make sure that the fencing is secure and that means creating a strong base for your installation. The last thing you want is for your border to be lifted up easily or pushed down because it isn’t robust enough. For gardens, this normally means embedding your fence posts in concrete. Also consider galvanised fence panel brackets – to help prevent the fence panels from being lifted. If you already have reasonably high walls or want to dissuade burglars from climbing over, you can get small fence spikes which can be laid on top of these boundaries. These are also an excellent choice if you have areas of your garden like out-buildings where thieves might be able to climb over more easily. A simple and effective way to have garden security is to install a motion sensitive light. This kind of device has a built-in sensor and switches on when someone steps near it. Some people can find this inconvenient, especially if they live in an area where there is a lot of footfall and the light keeps coming on during the night. The truth is that burglars don’t like to be seen and a security light can be a good but affordable deterrent, especially if you have a side path to your back garden. It’s well worth considering. Similar to the security light idea, a layer of gravel down your driveway or path is a good, lowkey option. It’s a lot more difficult to tread quietly if you have gravel underfoot. That, in itself, could act as a deterrent to many burglars who are looking for an easy place to steal from. Garden security is the first line of defence for your home, so it’s worth taking seriously and reviewing once in a while. If you can make this area a lot more secure, you’re less likely to have burglars interested in your property and importantly, your bikes. Of course, that doesn’t mean you should exclude common sense approaches at the same time. Make sure that you don’t, for example, leave things like garden tools, toys, or bikes out in the open when they are not being used.